This collection of some of Judith Merril's best stories typifies her expertise in her craft. The romanticism is there in some of her work—showing a world where it is possible to find the mate of your dreams, an alien life from Mars yearning to go back to its world because of the Earth's weather—but the reflection of the zeitgeist of her generation is evident too. "Daughters of Earth" is about six women in six generations. Told through the eyes of one of them, their stories reflect the startling similarities and differences in one family's mother-daughter relationships through the years. Living in the golden age of space exploration and establishment of new frontiers, these women display strength, bravery, and deep conviction to fulfill their dreams which they passed on to their daughters and granddaughters. One of Merril's best, it was hailed as a feminist work, a startling feat given that it was originally published in the early 1950s. 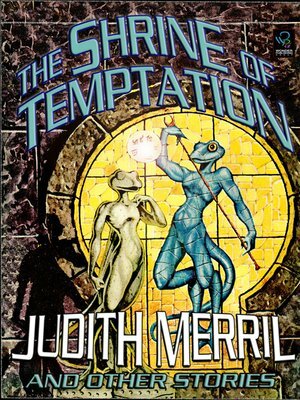 "The Shrine of Temptation" had a great impact on the development of science fiction at the time that it was published. Through its vivid narratives and powerful prose, it tells of a young Islander child, who through his innocence and luck, has become instrumental in the Rebirth of his village. In "Homecalling," Merril extensively paints the first contact of humans and an alien society in a new planet. The story details the struggle of the young protagonist to protect herself and her baby brother, and a similar struggle from the native intelligence of that planet to communicate with her. Merril's remarkable portrayal of the two species is full of optimism and wonder, and full acceptance for the uniqueness of each other.